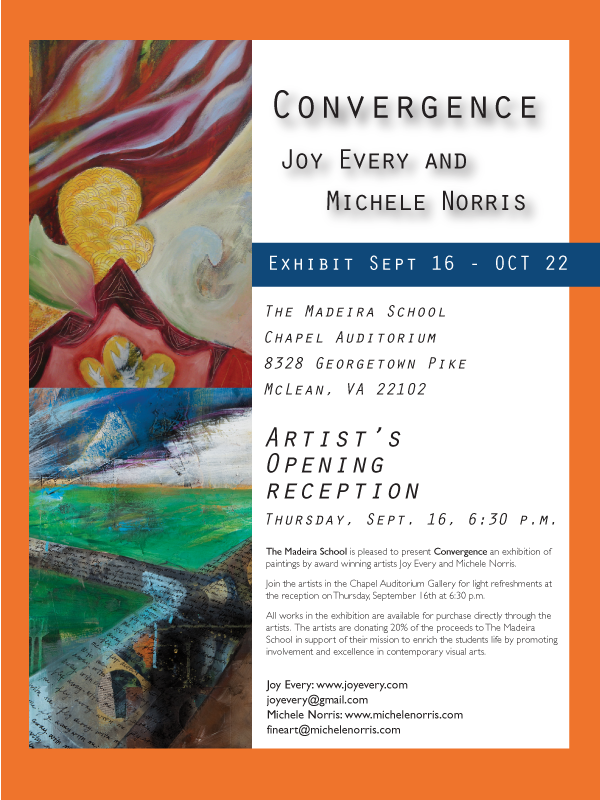 Greater Reston Arts Center opens its fall season with JOURNEY, an expansive exhibition of mystical landscape paintings by Freya Grand. Opening Reception this Saturday, October 2. 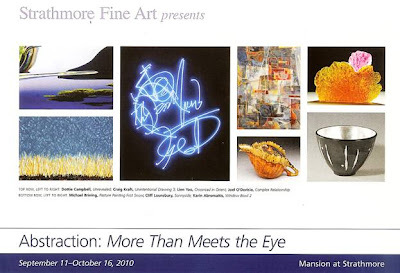 Friday, November 12, the 2010 Fall Benefit Gala for Maryland Art Place will pop up on the first floor of MAP's former home at 218 West Saratoga Street! For the first time ever, this year's Gala is followed by a chance to dance and party like a Pop Star in the 14Karat Cabaret downstairs. Celebrity fashion encouraged. 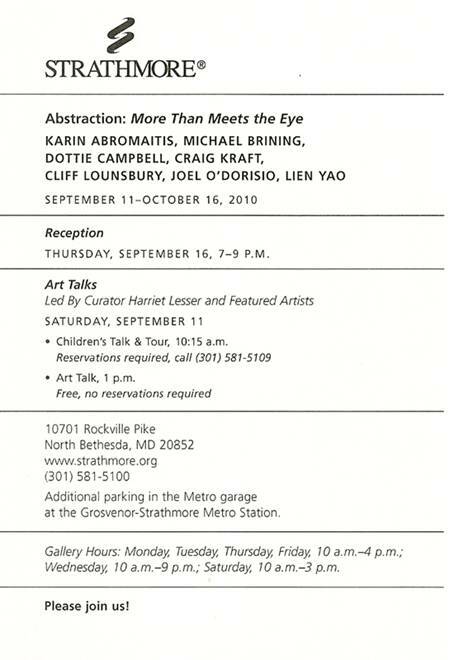 EXHIBITION: INTERNATIONAL ARTS AND ARTISTS: MEMBERS SHOW. Guest curator Lou Stovall selected work for the October Members Show at Hillyer Art Space. Congratulations to all those members who have been selected!!! Amnesty International Human Rights Art Festival producer, author and artist, Tom Block is directing The Iraq History Project Art Festival which will run from Sept. 28 to Oct. 3 at DePaul University. The six-day series of events will include panel discussions, lunch lectures and film screenings addressing human rights issues, culminating in a large exhibition of work by 19 artists on Oct. 3 in room 120 of DePaul’s Lincoln Park Student Center, 2250 N. Sheffield Ave. The Takoma Park/Silver Spring Campus of Montgomery College announces a new Artist in Residency Program. The Department of Visual Arts and Design is seeking proposals for residencies beginning in spring 2011. 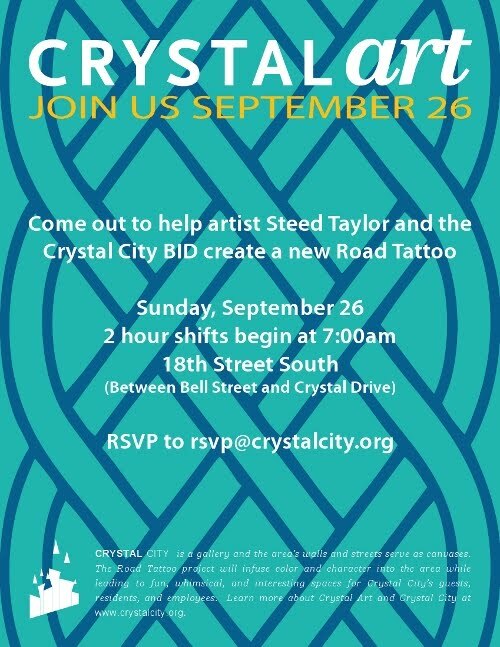 Artists will be provided studio space in the Morris and Gwendolyn Foundation Arts Center. Proposals are sought that will benefit, involve, or impact art students and members of the college community. Residency proposals lasting from one month up to two academic semesters will be considered. Resident Artists may be granted access to facilities such as; fully equipped printmaking studio, ceramics studio, sculpture studio, B/W darkroom, MAC Lab, weaving looms, in accord with their residency proposal. Exhibitions in conjunction with residencies may also be considered. Hillyer Art Space and Project Andini announce Puzzling (a) Space, a site-specific exhibition of painting, installation, video and performance by four contemporary Asian artists: Soun Hong (Korean), Chakraphan Rangaratna (Thai), Ding Ren (Chinese American), and Eric De Leon Zamuco (Filipino). This exhibition is co-curated by Jeong-ok Jeon (Korean) and Jammie Chang (Taiwan), and as a collaborative project it will bring dynamic cultural perspectives to the District arts community and increase cultural exchange between Asia and the U.S.
Puzzling (a) Space begins with the concept of site-specific art, the notion that an artwork comes to life within the exhibition space and an audience's participation is similarly an essential component to the artworks' realization. The place is not just a backdrop or a simple space to contain the artwork. Rather, the place conveys the purpose and acts as a vehicle for the art, just as the audience's interaction acts as a catalyst. Thus the artwork will only be complete in the context of three contributing elements: the artist, the place, and the audience. Bowl by John Kerr, Jr.
Conner Contemporary Art and Hamiltonian Artists will host an event specifically for area emerging artists beginning with a panel discussion focusing on gallery representation and the dynamics of artist-gallery relationships. The (e)merge 2 panel discussion begins promptly at 4pm; directly followed by (e)merge 2 party - hang out with your community, enjoy DJ, food and drink. (e)merge 2 is generously sponsored by Marvin Restaurant and the Pink Line Project. Riley portrays images which evoke a sense of internal peace, tranquility, and serenity, and power uniting us with the majestic forces we find within ourselves and in our natural environment. 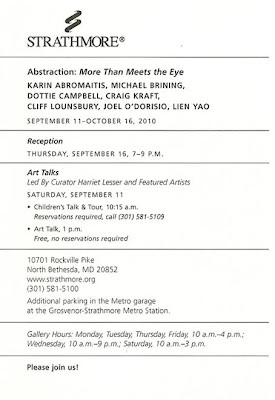 Monthly members show in Gallery II. in McLean Central Park, Virginia. McLean Central Park is located at the intersection of Dolley Madison Boulevard (Rte. 123) and Old Dominion Drive. Admission is free, but a $5 donation to MPA would be greatly appreciated. Your donation will help support MPAartfest, and MPA's exhibitions and education programs. Rosemary Luckett juxtaposes sculpture and mixed media drawings in her solo show “Altered Terrain,” a lively interplay between 2-D and 3-D expression. Connecting unlikely elements, she pairs: real ducks with rubber duckies, bucket-wheel coal excavators with a heart, and a sardine can with a bear's head. Each piece is built around a single real or symbolic object, or group of items seemingly unrelated to each other. The fun for her is in trying out unusual combinations of forms and then solving mysterious links between them. Finely-honed technique, a penchant for repeating forms, and a strong concern for the environment combine with a questioning mind and a sense of humor to form these surreal landscapes; stories of the altered natural landscape and how each person unwittingly contributes to its transformation. The George Washington University's Luther W. Brady Art Gallery presents John Safer Sculptures. Twenty-one works by the GW alumnus and sculptor will be showcased, highlighting smaller versions of his public works and award commissions. Works in Lucite, bronze and steel span Mr. Safer’s career and include early geometric works as well as lyrical forms that evoke the movements of athletes and dancers including Serve. Another side of Mr. Safer’s work has been commissioned to serve as awards including Bird of Peace, 1989, created for the National Peace Foundation, or Symbol of Courage, 1986, given by Georgetown University’s Lombardi Cancer Center to a person who has faced cancer and possesses the qualities of courage, dependability, discipline and honor. Lance Armstrong and Scott Hamilton are past recipients of the award. 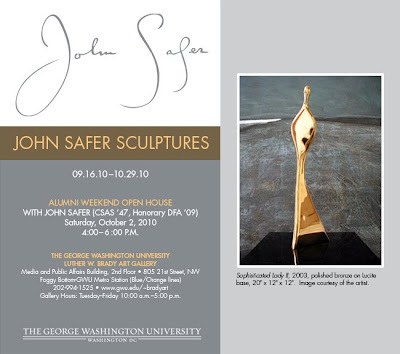 For a complete list of Mr. Safer’s work in public collections, visit www.johnsafer.com/library/public.html. 805 21st St., NW, Washington, D.C. Sponsored by the Dupont Circle Citizens Association as part of the 17th Street-Scape Celebration 2010, co-sponsored with ANC2B, Historic Dupont Circle Main Streets and Ross Elementary School PTA. 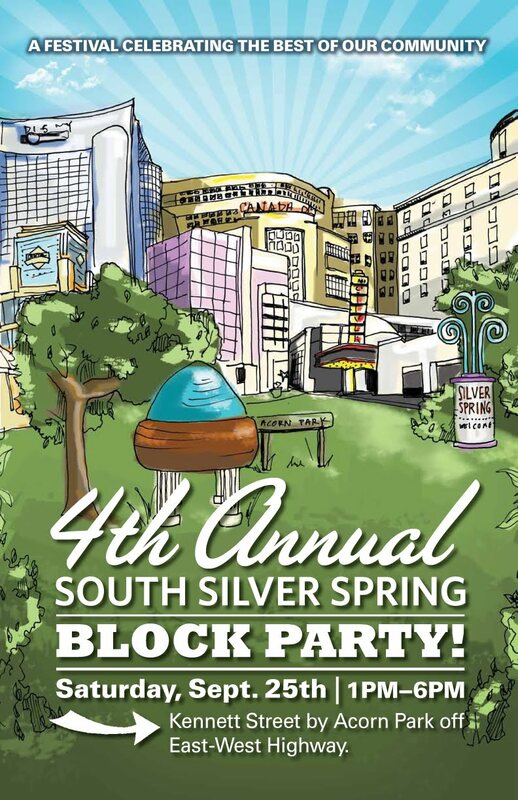 This event will include musical performances throughout the afternoon, artist vendors, a pet zone, a kids zone, auction tent, and exposure for non-profit groups and appearances by city officials to celebrate the unveiling of our new street-scape. 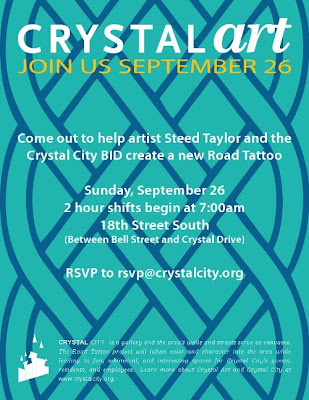 * All proceeds and donations from this event will help to further revitalize the beauty of the street-scape, including flowers in tree boxes and light post banners highlighting our local groups and organizations. Additional funds will go towards Ross Elementary and future events on 17th Street. Donations are considered tax deductible to the extent permitted by law. 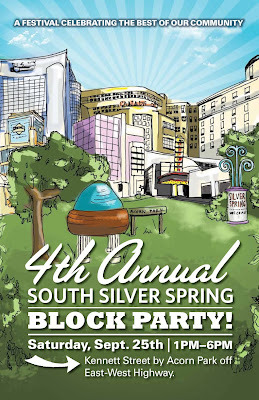 "...a street festival celebrating the people, artists, musicians and merchants in and around our community. The event is free and offers something fun for everyone." OFF EAST WEST HIGHWAY in Silver Spring, MD. ---see Marcie Wolf-Hubbard's "Waxy Lady" Paintings too. The Fridge seeks professional quality work for its 2011 season, which will include a variety of group and solo art shows. Please submit resume, artist statement and up to 10 digital images of work for consideration. No greater than 10 MB total. If the project is still conceptual, submit up to 10 digital images of recent work and a vision statement for the proposed project. The Fridge does not offer funding for the completion of projects. Please include your full name at the beginning of the images and in the subject and body of your e-mail. Deadline for submissions is Friday, October 1. A one hour introduction to Australian Aboriginal art, including a presentation of an astonishing collection of original artwork selected from a variety of official Aboriginal art centers spread across Australia. This is an exclusive opportunity to learn or deepen one's understanding of Aboriginal art. *IDAIA - International Development for Australian Indigenous Art. 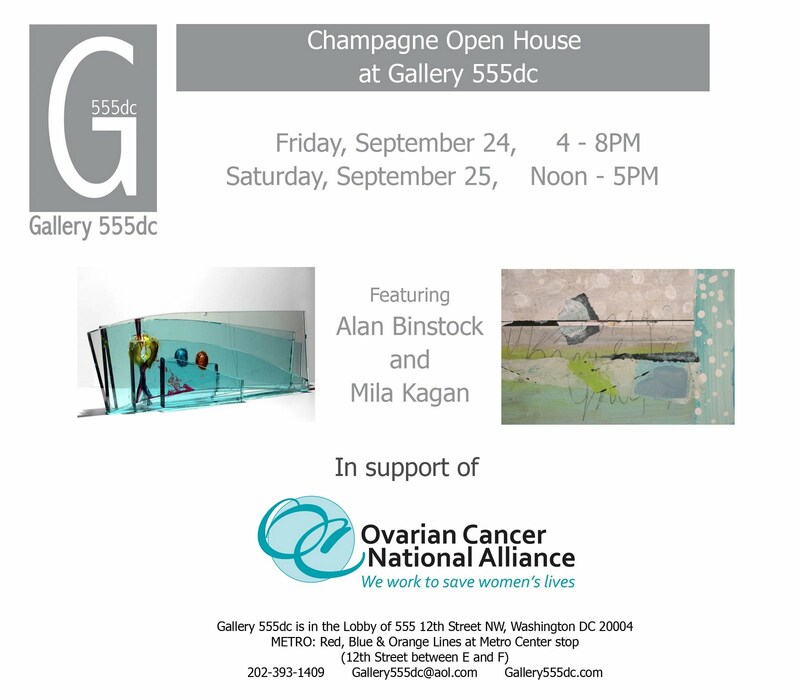 Saturday, September 25th from noon to 5pm. 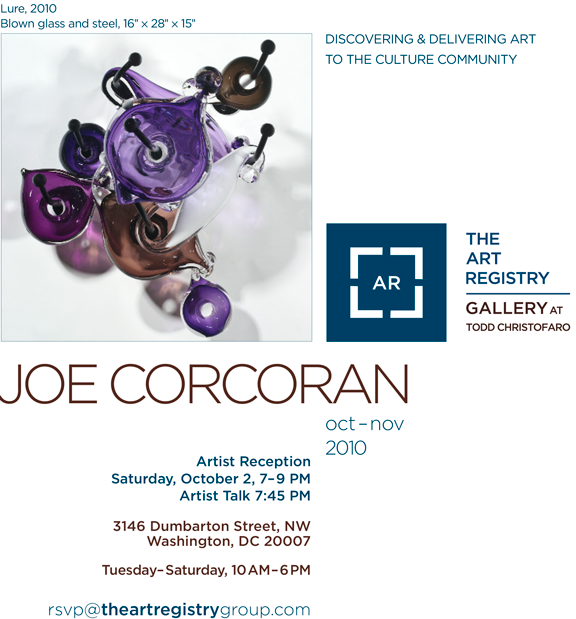 Fri, September 24th 2010, 6 to 8 p.m.
Susan Calloway Fine Arts (1643 Wisconsin Avenue, NW) hosts an opening reception for David Ivan Clark on Friday, September 24 from 6 to 8 p.m. With the exception of a brief apprenticeship with Jonathan Barbieri in Oaxaca, Mexico, Clark is self-taught as a painter and draftsman. In addition to solo and group exhibitions around the Bay Area, his work has been chosen by curators from the Whitney Museum of American Art, the Los Angeles County Museum, and the Denver Art Museum for inclusion in shows at various venues in the western states. How are Mexico’s oldest artisanal traditions being re-appointed and reinterpreted by contemporary designers? In this discussion, curator Ana Elena Mallet and designers and architects Kythzia Barrera, Manuel Alvarez Fuentes and Ezequiel Farca will explore how the materialized form is replete with historical elements, and design is seen as a social process and instrument for integration in which aesthetic, multi-varied base forms a functional object. This talk is presented in conjunction with RETHINKING TRADITION: Contemporary Design from Mexico exhibition and forms part of AIA DC, the Washington Chapter of the American Institute of Architect’s Architecture Week 2010. RSVP for this event to cdiaz[at]instituteofmexicodc.org. Rethinking Tradition: Contemporary Design from Mexico presents over 200 objects created by the most talented and innovative designers in Mexico today. The recent boom in the creative industries has transformed urban centers into artistic labs, and this exhibition celebrates the landscape of Mexico City where a dynamic, cosmopolitan and ever-changing urbanity inspires a new generation of artisans in infinite ways. This exhibition shows how contemporary designers often seek to integrate social, economic and environmental elements through the use of varied objects and materials to create unique products. Seen as a social process and as an instrument for integration, contemporary design has also reclaimed traditional methods of Mexican handicrafts and added inspiring modern touches. Celebrate with special guest Chris Martin, Honorary Chair of the Host Committee, and join fellow contemporary art lovers and philanthropists for the much-anticipated launch of NOW at the Corcoran—an exciting program of exhibitions presenting new and site-specific work by emerging and mid-career artists. Washington, D.C. – In the wake of a recent renovation-related fire, The Phillips Collection launches a micro-donation campaign to raise funds toward repair of the historic Phillips house. Supporters can donate $5 or $10 to the museum by sending a text message from a mobile phone now through the end of 2010. To make a $5 donation, supporters can text “phillips5” to 20222. To make a $10 donation, they can text "phillips10” to 20222. Supporters should then follow prompts to confirm their gift. The charge will appear on the donor’s cell phone bill or will be deducted from the donor’s prepaid balance. Normal text messaging rates apply. The fire, which broke out on the roof of the Phillips house on the morning of September 2, was contained and extinguished swiftly. No one was injured. All artwork is safe and secure. However, damage to the upper stories of the Phillips house where museum offices are located was significant and is still being evaluated. The Phillips Collection has reopened during regular hours, though galleries in the Phillips house remain closed for repairs until further notice. Museum admission is waived for the month of September. All special exhibitions are slated to open as planned, though interruptions to the programming schedule may occur. Visitors may check for updates at www.phillipscollection.org. Sasha Lord Presents and Comet Ping Pong host a live art installation by Arrington De Dionyso and performance of Arrington De Dionyso's Malaikat Dan Singa (Indonesian pop band / Old Time Relijun) with a live percussion set by International beatmaker Kiran Ganhi. Arrington de Dionyso makes trans-utopian world music for a world that exists in fever dreams and hallucinations. Using performance and visual art, he traverses the nameless territories held between surrealist automatism, shamanic séance, and the folk imagery of rock and roll. De Dionyso's most recent project, Malaikat dan Singa, is a trance-punk outfit with a shape-shifting lineup featuring bass-clarinet, guitars, multiple drummers and his trademark wild vocals (multi-spectral harmonic throatsinging combined with grunts, yelps, and barks) - this time, all sung in Indonesian. Malaikat dan Singa translates as "Angels and Lions," and de Dionyso's Indonesian lyrics combine mythology and fantasy with haphazard translations of poet William Blake. The project, however, ultimately defies a clean translation. Malaikat dan Sanga gains power by crossing boundaries - both linguistic and psychic. Come out & support Transformer at this special event!! Learn all about trademarks at this upcoming workshop! Presentation + Q & A session. Free for WALA members; $30 for non-members. Click here for more information and to register (it's easy & secure). This exhibition examines the current crises facing our country and the world and the plight of the people who must suffer from these failures. Our juror for this exhibition is Sarah Tanguy, an independent curator, arts writer and critic, as well as, a curator for the Art in Embassies Program based in Washington DC. Tanguy chose 39 works for the exhibition that poetically express the human cost of these breakdowns. Sarah Tanguy will provide a gallery talk at 7pm during the reception to discuss her choices for the exhibition. The Target Gallery, national exhibition space of the Torpedo Factory, promotes high standards of art by continuously exploring new ideas through the visual media in a schedule of national and international exhibitions. Located on the waterfront in Old Town Alexandria, VA. The gallery is open daily from 10-6pm and until 9pm on Thursdays. "Raw Beauty: Fashion Experience: A Breast Cancer Community Outreach Initiative" Sept. 26th! 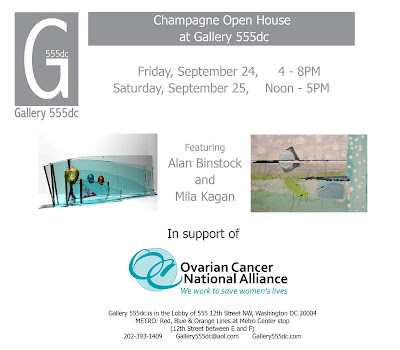 Authentic Contemporary Art will be donating artwork in support of Atikal Foundation's 2010 Raw Beauty Fashion: Experience Breast Cancer Initiative celebration, Sunday, September 26, 2010 at the National Harbor Sunset Room, National Harbor Maryland. Guests will experience an unforgettable evening of fashions from local couture designers as Kenny Flanagan, Kas Collection, Inc., hors d'oeuvres, cocktails, and entertainment, all while celebrating and honoring breast cancer survivors. This evening will prove to be an inspiring and memorable way to raise awareness about breast cancer in young men and women, celebrate our survivors, and raise funds for local programs, allowing us to continue providing critical programming in the Washington, DC Metro Area. The Raw Beauty Breast Cancer Initiative is dedicated to the critical issues unique to young men & women and breast cancer. No one diagnosed under 40 should be left in the dark about breast cancer. The Raw Beauty initiative includes quarterly educational programs to help young people learn about the importance of breast self-exams and early detection; and provide screenings and diagnosis for uninsured and under-insured men and women, in collaboration with the program's Clinical Partner, Dr. Regina Hampton, of Signature Breast Care, in Lanham, MD. Foundry Gallery, 1314 18th St NW, 202-463-0203, which is one of DC's oldest cooperative galleries is holding an open house membership drive on Saturday Sept. 25 for prospective members. Interested artists should drop off 4 to 5 pieces of their work between 12 and 3 to be juried. Art work may be picked up between 4:30 and 5:00 pm. Application form can be downloaded by visiting www.foundrygallery.org. GRACE programs are supported in part by the Virginia Commission for the Arts, National Endowment for the Arts, the Arts Council of Fairfax County, and you! Show your support today. Click for preview thumbnail pictures of works. Tickets are limited, get your lucky number now! Out of town this weekend? Use proxies. All proceeds from this fundraiser support exhibitions and educational programming. Opening Reception: Saturday, September 18th, 7-9 pm. Hamiltonian Gallery announces a new exhibition where fairy tale meets flesh in two parts: James Rieck, Mead Hall; and Jonathan Monaghan, Life Tastes Good in Disco Heaven. Whether in Monaghan's digital constructs or Rieck's masterly-engineered paintings, both artists appropriate the iconographies of storytelling and marketing to question notions of power and subjugation. Five paintings comprise the series Mead Hall, inspired by the heroic epic poem Beowulf, and The Monsters and the Critics, J.R.R. Tolkien's consequential 1936 lecture on the literary work. James Rieck deftly arranges cropped images from historical paintings, seductive women, and medieval props to present a contemporary interpretation of the medieval classic. Jonathan Monaghan explores the dialectical nature of an increasingly simulated world with his new work, Life Tastes Good In Disco Heaven. Monaghan's work ultimately is about indifference and loss, which is illustrated by integrating corporate iconography into pseudo-religious landscapes. His iconic subject matter is both familiar and alien playing on our desires, dreams, and dread. His virtual creations allude to the eerily present dilemma of responsible consumption. By subverting popular commercial culture, Monaghan's work presents a moral question left unanswered. DC Architecture Week is going on now! Many Georgetown businesses are participating with special events, including a tour of the House of Sweden (2900 K Street, NW) on Sunday, September 19, a prix fixe lunch at Farmers and Fishers (3000 K Street, NW) on Friday, September 24 and a kid's tour of Georgetown at Hartman-Cox Architects (1074 Thomas Jefferson Street, NW) on Saturday, September 25. Click here for a complete list of events and fees. "Just as the District of Columbia was carved into and out of the borders of Maryland and Virginia, artworks have borders that are tangible, malleable, and reaching-like geographic boundaries. Yet they connote intangible values and dreams and ideals-much like the idealism that goes into creating a nation's capital. This exhibition is about interconnections despite borders and boundaries, and of course the power of art to create connection and beauty." Reston, VA: Greater Reston Arts Center begins its new season with JOURNEY, Freya Grand’s expansive exhibition of mystical landscape paintings. With lush brushwork and an uncanny sense of the universal in nature, Grand gives traditional landscape painting a contemporary, romantic interpretation where natural forces and features become catalysts for unlocking primordial memory. The artist describes her paintings as “points of departure inward” rather than specific destinations. Built upon recollected feelings, travel sketches, notes, and photographs from actual journeys, her paintings develop into poetic meditations on the earth’s vastness. Each canvas offers a pathway into the void through ominous boulders, receding tides, and mountain passes. Through her paintings, Grand leads us on a rigorous tour of nature’s “relentless beauty,” sharing her pleasure in its familiar, iconic forms and her fears of its starkness and immensity. As in the Romantic paintings of the nineteenth century, JOURNEY, reminds us that human intrusions into the natural world can have unwanted consequences. Scenes such as “Rock at Low Tide” and “Sea” are visionary depictions of the shoreline but they also evoke what is lost when environmental disaster strikes. By illuminating the primal forces in nature, Grand’s work carries a dual message of darkness and hope through its deep reverence for wildness, both in nature and humankind. Educated at the University of Wisconsin in Madison, Grand has lived and worked in Washington, DC for twenty years. Most recently, she has had solo exhibitions at Gallery Neptune in Bethesda, MD; Gallery 211 in Baltimore, MD; The Arts Club of Washington, DC; and the Judy Saslow Gallery in Chicago, IL. Her work is in numerous collections including the District of Columbia Arts Commission; the US Trust Company in New York, NY; and the Charles E. Smith Company in Arlington, VA.
A twelve-page exhibition catalog is available at GRACE. Greater Reston Arts Center appreciates the Virginia Commerce Bank’s corporate sponsorship of JOURNEY and the generous support of Mary B. Howard. 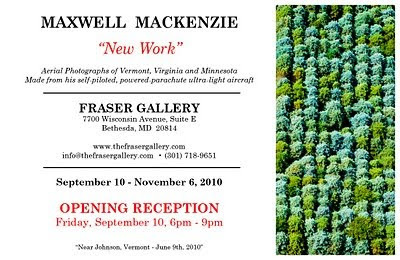 Nikolas Schiller: Geospatial Art is on view September 17 through November 13, 2010. "Adding a radical new dimension to traditional cartography, Nikolas Schiller: Geospatial Art disrupts the singular geopolitical viewpoint and in its place reveals infinite paths and perspectives of specific places at specific times in history. Experimenting with new methods of projecting geospatial information in a three-dimensional environment, Nikolas Schiller creates these unique maps out of public domain orthophotography. He has re-projected much of urban America, from downtown central business districts to state capitals to highway intersections to national monuments, and now, Georgetown." The Old Print Gallery, a destination for map enthusiasts since 1971, invites you to view Nikolas Schiller’s postmodern cartography amidst the gallery’s collection of maps dating from the seventeenth century to the present. 1220 31st Street NW in Georgetown. Experience a unique exhibition of fine art, live jazz, and delectable treats on the waterfront. In partnership with the Black Artists of DC, the DC Commission on the Arts & Humanities is proud to present Omnipresence, a visual arts testimony to the profound presence of African American artists living and thriving in the District of Columbia. Meet these esteemed artists, enjoy selections of music and poetry, and add to your personal art collection in one thoroughly artistic evening. All exhibition openings are free and open to the public. "Shaping Earth" emphasizes man's impact on the environment and describes Freeman's use of materials and process. Her use of stoneware and porcelain clay finely carved to reveal layers further echo the vulnerability of the earth. Rainey's treasure trove of images are inspired by her fascination with American history and are monuments to the past. The characters that she is influenced by are surrounded by myth such as Amelia Earhart, Abraham Lincoln, John Wilkes Booth and Theodore Roosevelt. Rainey's process includes labor intensive traditionally feminine media, like embroidery and knitting, signifies a connection to hard working and obsessive personalities of the past. 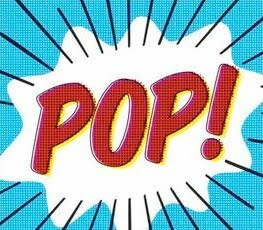 Pop culture plays a distinctive roll in the mixed media paintings, photography and video pieces that Garbett creates. The influence of music, film, advertising and the evening news are clearly evident and serve as a wealth of inspiration for his prolific body of work. Studio H is proud to present ”Insoluble” a solo exhibition featuring oil paintings by Camille Schefter. The works, both curious and perceptive, exhibit diverse imagery and deft, complex color use. The end result is a captivating examination of the contradictions between what a person shows publicly and what one thinks and feels privately. WASHINGTON, D.C. – Long View Gallery is pleased to announce a ground breaking photography exhibition, “Images from Beyond: Visions of Our Solar System” by celebrated photographer, filmmaker and journalist Michael Benson. “[Benson’s images] are vividly, compellingly real; they astonish and bewilder, luring the viewer into a state of wonder." -Edward Rothstein, The New York Times. Intersecciones Culturales / Cultural Crossroads is compact, with the intent to overload. Rafael Corzo, presenting art in the gallery as well as the craft store, brings an ambitious embodiment of youthful energy and freedom. Amber Robles-Gordon exhibits dazzling wall sculptures evocative of Carnival, steeped in the Afro-Caribbean heritage of objects imbued with symbolism so deeply felt that even when open to intellectual interpretation, their emotional interpretation rings clear. 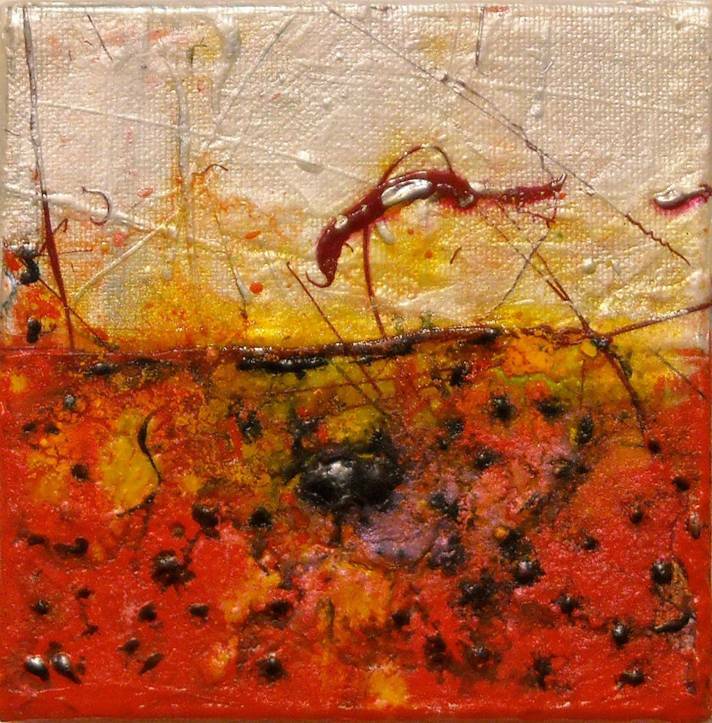 Joan Belmar presents an installation of abstractions rendered with incredible precision and care. Each creates delicate illusions of space that rest on balance between external structure and the fluidity of emotions. And, that's all before mentioning Felix Angel, who lends the exhibition nine works of undeniable power. The most established and longest experienced of this talented group, Angel - better known in the DC region as a curator than as an artist - brings forth refinement, eloquence, and poignance, that are always and only the outcome of years of creation, focus and discipline. The sketching session begins at 6pm and ends at 8pm and is free. We will have special edition blank sketchbooks for sale at the show as well but you are welcome to bring your own sketchbook. Richard Salcido's work encompasses the process of exhibition development by creating an 'exhibition-worthy' piece under a daily time constraint from inception to completion, and embracing the idiosyncratic qualities that unfinished pieces may include. He states that "on certain days some things come together and on other days everything seems to fall apart," but accepts each as it comes. He rejoices both in success and in failure, and finding a balance between what an artist is expected to put into creating a final piece, and what actually results. Though he often wonders why he paints everyday given he is often left with disappointment, he believes that "there is a beauty in it, because there is a beauty in failing." 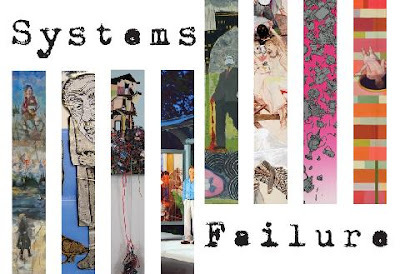 Drawing from an early influence in comic books and graffiti, his work features figurative, still life, and typographic elements juxtaposed with mixed media, and deconstructionist appeal, which highlights the various layers of the compositional process that he strives to exemplify within this series. Miriam Mörsel Nathan’s work for the exhibition MEMORY OF A TIME I DID NOT KNOW...is supported in part by funding from the Montgomery County government and the Arts and Humanities Council of Montgomery County. Artists' talk featuring J.J. Cromer and Grey Carter will open the reception. J.J. Cromer appreciates contemporary art, but claims what he's doing is different. "When I work on my drawings, I'm less interested in certainty. I sit in isolation, directing myself to ambiguity and exploration, skepticism and play." His process is intuitive and the results are meticulously detailed, brightly colored, repetitive forms linked by dynamic, rhythmic, two-dimensional patterns. His mixed media starts with pen, ink, and colored pencil, and sometimes involves collage, paint, and scratching. The results are breathtaking and fascinating and have earned him widespread recognition and acclaim. His work is in private and public collections including the American Visionary Art Museum, Intuit: The Center of Intuitive and Outsider Art, the Taubman Museum of Art, and the University of Virginia. In “unbearable,” the second of three Thomas Drymon Selects exhibits, the curatorial series narrative is played out as the four artists explore what is revealed and what is not. Featuring works by Laura Elkins, Claire Feng, Yvette Kraft and Joyce Zipperer, the exhibition provides glimpses into the artists’ worlds and provides commentary on our own. Laura Elkins’ self-portraits as first ladies imbues the powerful women she portrays with emotion seldom seen in public; Claire Feng’s soft-focus paintings of every-day life are subtle snapshots with powerful subtext; Yvette Kraft’s whimsical, textural paintings, inspired by real-life subjects, bring humor and pathos to our daily routine; and Joyce Zipperer’s lingerie series, made of crotcheted metal wire, is as intricate as the hand-work required to make each piece. The three exhibitions planned by Thomas Drymon each year follow a narrative arc. Artists are chosen based on their exploration of the theme or narrative but also their willingess to reconsider their work in that context. For 2010, the narrative concerns revelation and the degree to which artists expose themselves to the world while commenting on it at the same time. Exhibitions are planned each year at traditional and nontraditional spaces and are intended to introduce mid-career artists with low- to mid-priced works to a broader audience. Hours: Sundays 10am-4:30pm, Monday-Thursday 12-4pm, Closed on holidays. Gallery will be attended by representative Margery Goldberg for the entire day. Addison/Ripley Fine Art presents "the 2nd element: stratus series", new works by Nancy Sansom Reynolds. In her third exhibition at Addison/Ripley, Ms. Sansom Reynolds brings a large body of new sculpture in a broad range of materials: bronze, resin and beeswax as well her now familiar, layered plywood. These sinuous, striated, elegant shapes, often suspended on walls, are at once solid and weightless, capable of taking flight but firmly grounded. It is so appropriate, therefore, that the artist's title, "the 2nd element" refers to air as do her titles which name cloud formations: stratus nebulosus, fibratus, pileus, radiatus and castellanus. Poetic names for ethereal forms. Much of the artist's inspiration for this show comes from her three recent years in the Southwest desert. Ms. Sansom Reynolds has suggested that her forms reflect the "big sky" of the American Southwest. And she has clearly responded to her new environment with sculptures which are a significant advance from her last body of work. Ever the thoughtful, careful, process involved artist, Ms. Sansom Reynolds attains in this body of work, at once a more refined and effortless appearing group of new sculptures, introducing new colors and more complex forms. 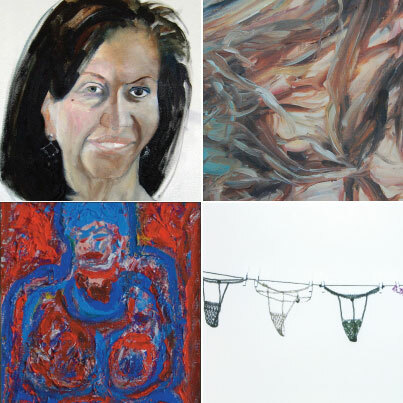 Artists exhibited: Yolanda Frederikse, Mike Hagan, Pauline Jakobsberg, Fleming Jeffries, Julie Niskanen; Lindsay McCulloch, Glenn Fry, Kristen Necessary, Andy Kozlowski, and Jake Muirhead. Chamberlain's riotous scenes of nature run amok are fantasies that provide the viewer with an opportunity to abandon the quotidian. His canvases are bursting with color and a dizzying assortment of botanical and entomological subjects. And yet, because they lack any concrete clues about time, place, or even scale, these very figurative works begin to verge on the abstract. Nonetheless, Chamberlain sees the landscape genre in general, and his works in particular, as being linked to the idea of narrative. To that end, he addresses his viewer with tantalizingly meaningful titles such as "Apartment Living", "This is Your Mess", and "Survival Tactics". Chamberlain sees these titles as a way to help to guide the viewer through these environments, and provide the framework for a narrative of their own construction. The works in Shelf Life were created specifically to be displayed on the Athenaeum gallery's walls. Gallery hours are Wednesday through Saturday, 12-6pm. The Bethesda Art Walk takes place the second Friday of every month and features 12 Bethesda galleries and studios that open their doors late to feature local, national and international art. Bethesda Art Walk tours return on September 10. 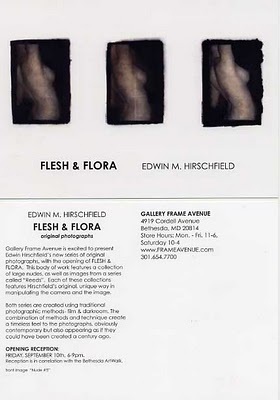 The guided tours extend the opportunity to learn about Bethesda's galleries as well as their current shows and featured artists. All Bethesda Art Walk galleries are open from 6-9pm, and the tour will begin at 6:30pm. Attendees can meet their guide at the Bethesda Metro Center, at the corner of Old Georgetown Road and Wisconsin Avenue. Bethesda Art Walk tours are free. Including Fraser Gallery, Maxwell Mackenzie "New Work"
Gallery Frame Avenue, Edwin M.Hirshfield "Flesh and Flora"
New large-scale paintings of dreamy night scenes and saturated color paradise. Nightscaping is a new series of paintings by Washington, DC based artist Erick Jackson, influenced by Charles Schultz's Peanuts characters and the school of Romanticism. Drawing from his academic background (Rhode Island School of Design), his rock musician sensibility (Apes, Midnight Kids), and his lavish imagination, Jackson create this new suite of paintings based on the techniques developed in his last exhibition All Night Flight, a series of 68 color pencil drawings. Intimidating sculptural installations and works made of paper, found objects, and other media. According to the artist, "when a boat is in irons it is pointing directly into the wind, or is too close to the wind to make headway. Therefore, it struggles or is completely stopped dead in the water. Elements of my work possess this ambition of wanting to move forward but with constant barriers or reminders of loss." In celebration of the opening of the 2010 fall art season, three of the city’s hottest art destinations will be connected by the ART BUS. Transitions exhibition is a multimedia art exhibition to premiere at The Art Gallery @ The Washington Design Center. This event will contain exciting exhibits from emerging and established artists, photographers, sculptors and painters. Complimentary admission will be given to all guests whom are planning to attend. 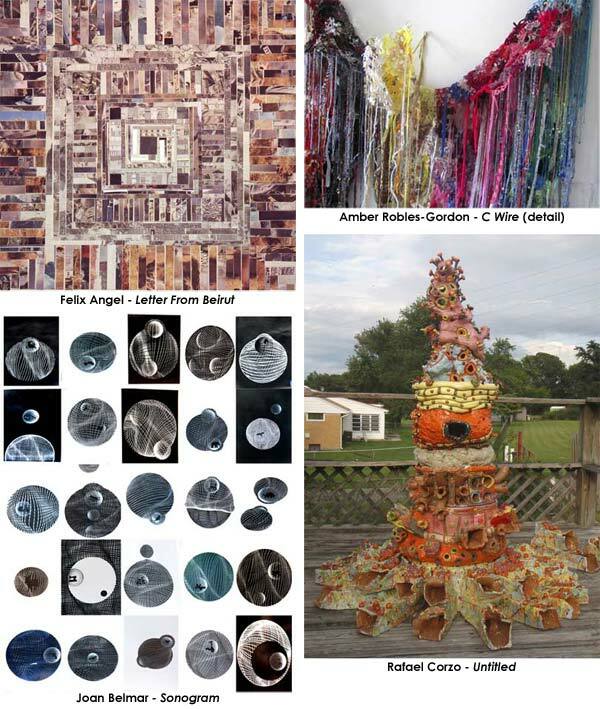 Carl Wright will be showing 3 sculptures Shizukesa, Oonami, & Crescendo. Images of Shizukesa can be seen at: http://www.wsggallery.com/Sculpture-Pages/Shizukesa-Sculpture.htm, Oonami at: http://www.wsggallery.com/Sculpture-Pages/Oonami-Sculpture.htm, and Crescendo at: http://www.wsggallery.com/Sculpture-Pages/Crescendo-Sculpture.htm . [a quote from Jorge & Will] ArtBox Media (Jorge Castro and Will Starks) Welcome to the next movement in your life. You are here because you were destined to do so. The art movement we are creating has been put together for you to experience a piece of yourself. How? A public hearing has been scheduled for Bill 18-451: Artist Protection Act on Wednesday, September 22 from 11am to 1pm. It's critical that our community offer testimony at the hearing to help policy-makers understand our support for this bill. Under current District law, works of art owned by artists but in the possession of galleries can be seized by creditors of the gallery. The bill would clarify that works of art loaned to galleries are not subject to the galleries' creditors and offer other protections. Email DC Advocates Chair Rob Bettmann at robert[at]dcadvocatesforthearts.org for more information or visit the Facebook event page.